whoopsy, missed a day already... mae is teething and had her six month immunisation yesterday so i was basically juggling and trying to teach baxter how to jump through hoops to keep her happy all day. note to self: remember to schedule immunisation for later in the day next time, leaving less hours of grizzly baby before bedtime. once i got her to bed all i wanted to do was jump straight onto the sewing machine to work on the queen/king quilt that i finally basted on the weekend so the computer got a miss. 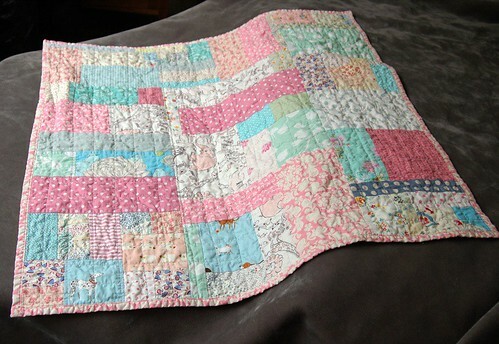 this is the pram quilt that i made for mae by randomly piecing together scraps from my stash in pinks and blues. it's my first completed freeform patchwork top and i quilted it up with a square grid pattern. i have to admit, i'm completely in love with this little blanket, it came out so much better than i had even hoped. 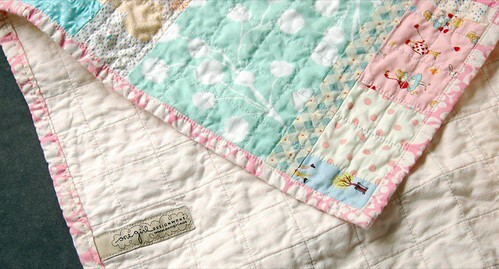 i love taking quilts out of the dryer that first time and seeing them as they are meant to be, crinkly, soft and warm. it's my favourite part of quilting, and i'm pretty fond of all the parts (remind me of this later tonight when i spend another 3 hours machine quilting the queen/king quilt). It's really beautiful Leslie. Do you have a quilting machine? thanks kirsty : ) i just have a janome DC3050, it's nice, fairly fast and has plenty o' stitches but isn't specifically built for quilting. 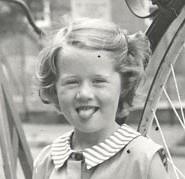 i dream about my next sewing machine but it's a few years away, i think! I LOVE this quilt, especially since it has been amde from 'scraps'. The pink animal material is my faourite. I recieved my fabric in the mail yesterday too - Thanks so much! Oh that is wonderful! I love it! I dream of being as great as you in the future. I'm only just beginning now... but fingers crossed I'll get there! You do great work! Ooooh it's dreamy. How special - Mae will treasure it for a loooong time. WOW! Very nice! I love the combination of colours! okay. they just keep getting better. i love the free form thing. i think i might have to try that someday. and i am anxious to see this huge one you are making. whoohoo! Lovely. And thanks for the tip about the immunizations. 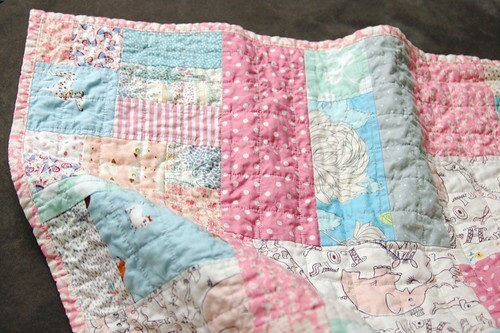 Your quilt is beautiful and totally original. And you're absolutely right that the final step in making any quilt is pulling it from the dryer and admiring that soft crinkle-i-ness.